Where did modern Judaism come from? How did Judaism survive the destruction of the Temples? What can ancient artifacts tell us about ourselves? Today it is not so difficult to bring the sights and “voices” from ancient Jewish communities into the classroom. The resources below are divided into categories to help you. Archaeology for Educators – From the Society for American Archaeology – Good general site on what archaeology is, how to teach about it, and links to resources. City of David/Ancient Jerusalem — This wonderful site offers Virtual Tours of ancient Jerusalem through a panoramic map, comparing the ancient to the modern city, and also through a 3D movie. The site also offers the history of the archaeological excavations of the City of David. Har HaKodesh — 360º panoramic view of the Temple Mount (in Hebrew). Inscriptions of Israel/Palestine — Site maintained by Brown University containing a database of 1,500 inscriptions from 500 BCE to 640 CE. Also provides links to other sites on ancient Israel. The Jerusalem Archaeological Park – Site maintained by the Israel Antiquities Authority, offers an interactive timeline of the history of Jerusalem through its buildings. Includes articles, videos, and maps to illustrate the different phases of Jerusalem’s history. See especially the 360 degree Virtual Reconstruction Model of Jerusalem. Virtual Reconstruction of Second Temple Mount — From the Jerusalem Archaeological Park, this more than 7 min. long video takes you through a computer-generated recreation of what the Temple Mount and Temple might have looked like. EAWC Electronic Text Index The Near East – Links to all books of the Bible, including Apocryphal works (Revised Standard Version). Internet Ancient History Sourcebook – Provides sources from biblical, post-biblical, and non-Jewish writings from the biblical period. Perseus Digital Library – Tufts University collection of classical Greco-Roman texts. 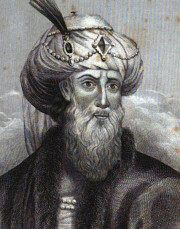 Provides full texts, such as the works of Josephus. The Dead Sea Scrolls- Home – Digital Library from the Israel Antiquities Authority. Provides clear photos of scrolls and artifacts, including the Babatha archive from the Bar Kochba revolt. Dead Sea Scrolls: Topic Page at Bible History Daily – Feature of the Biblical Archaeological Society. Provides background articles on the discovery and scholarship of the Dead Sea Scrolls, as well as daily updated articles on Scroll research. Digital Dead Sea Scrolls – Virtual exhibition at the Israel Museum, featuring the Great Isaiah Scroll, the War Scroll, among others. 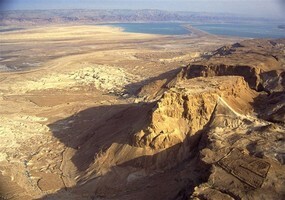 Orion Center for the Study of the Dead Sea Scrolls – Hosted by Hebrew University, includes Virtual Qumran Tour. Internet History Sourcebook: Israel— From the collection of internet sourcebooks at Fordham University, this focuses on ancient Israel in the pre-Canaanite period through Rabbinic Judaism. There are also links to other sites on using the Bible as a sourcebook, archaeology, and other specific eras in the Biblical period. Jerusalem: Life Throughout the Ages in a Holy City — Cached online course on history of Jerusalem from time of David through modern times. Jews and Other Imperial Cultures in Late Antiquity — online exhibit at University of PA library showing how Jews and Judaism were shaped by the Greco-Roman world. The Vanishing Jews of Antiquity — In this article subtitled “how should one translate the Greek term ioudaios?” Prof. Adele Reinhartz explores the complex meaning of the ancient term and how we understand today concepts such as Jew, Judean and Jewish identity. Hellenistic History and Culture – (CA: University of California Press, 1993) Entire book available online. Explores Hellenistic culture, rulers, and rule in the East during the period of the rise of the Hasmoneans. Pseudo-Hecataeus on the Jews: Legitimizing the Jewish Diaspora— (CA: University of California Press, 1997) Entire book online. About the early Greek description of Jews, dating probably to the end of the reign of the Hasmoneans, attributed to Hecataeus of Abdera. Second Temple Synagogues – Donald Binder’s extensive site of images and texts. Note especially his “Second Temple Synagogue Literary Archive,” which provides texts from Josephus, Philo, the Dead Sea Scrolls, and Pseudepigraphic works. Forum Romanium — Offers digital versions of early 20th c. books on Roman life, history and culture. What makes this worthwhile is to see how writers viewed the Roman conquest and rule of Israel during the Maccabean period and later during the first century leading up to the Great Revolt. Into His Own: Perspective on the World of Jesus – Provides maps, charts, and texts to illustrate the Jewish world in which Jesus lived in the First Century CE. Organized into categories: Political; Social; Intellectual; and, Cultural Climate. Jewish and Other Imperial Cultures in Late Antiquity — Online exhibition from the University of Pennsylvania that looks at Jews and Judaism in the context of the vibrant world of the Roman empire during late antiquity. Livius- first century Judaea – Jona Lendering’s extensive site on Judea during the Roman period. Provides original articles, Roman and Jewish texts, maps and photographs of archaeological sites and artifacts. NOVA Ancient Refuge in the Holy Land PBS – Video program (aired 2004) of the discovery of the Cave of Letters, evidence of a Jewish hold-out against the Romans during the Bar Kochba revolt in 135 BCE. ORBIS route of the Roman world – A project of Stanford University, offers an interactive map that allows the viewer to calculate the cost and distance of travel in the ancient Roman world. PBS The Roman Empire in the First Century – Ancient Voices – Educational site that offers video excerpts, interviews with historians, maps, games, and lesson plans.